The softer lard cube shows Atoni's nose and chin impressed into its surface, whilst the chocolate shows rough striations of teeth marks. There is a clear physicality to the work in the efforts needed to chew away at the blocks. 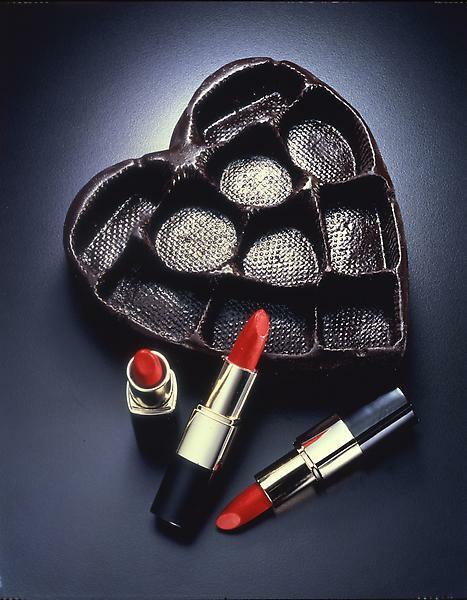 The contrasting elements of the lipstick and chocolate boxes also poses a comment on feminine desire and the notable gap between feminist performance art and male minimalism of the 60's. 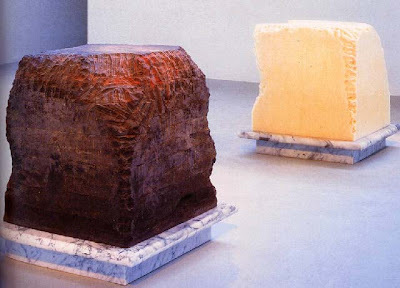 As Atoni gnaws away at the cube's which are similar in form to sculptures of Morris or Judd, she describes the act of putting things in your mouth as a primal means of knowing, (similar as to how a baby would explore the world), and expands it as a culturally structured expression of sexual desire.